Thanks to the success of Yuebao, a user-friendly investment fund for Alipay users which launched in mid-2013, nearly all major Chinese internet companies tapped into internet-based finance in 2014. While some simply sell traditional financial products online, many big tech companies and startups have created new products for the internet economy. More than 150 fintech startups received funding this year, according to ITjuzi.com, a Chinese online database for startups. Chinese authorities still haven’t issued regulations for peer-to-peer lending, but the services continued to grow quickly in 2014. Some are predicting that China’s peer-to-peer lending market will be bigger than that in the US. At the same time, the rapidly-evolving market saw more than 100 peer-to-peer sites shut down over the year. It has been reported that Lufax, a subsidiary of Chinese insurance giant Ping An, is planning a U.S. IPO (report in Chinese). China Rapid Finance, a consumer credit solution provider, launched a peer-to-peer lending service in late 2013 and reportedly has been exploring a U.S. IPO too. Encouraged by the Lending Club’s IPO in December 2013, China’s peer-to-peer industry expects to see several of Chinese services to go public in the U.S. in the near future. Unlike other companies that take transaction or service fees, Lufax charges a 1-2% guarantee fee (as its parent company Ping An ultimately guarantees all of its loans) and lenders a 2-3% fee (source in Chinese). Greg Gibb, chairman and CEO of Lufax, said their ultimate goal was to become the largest online wealth management firm in China. Lending Club co-founder Soul Htite founded Shanghai-based Dianrong in 2012, trying to replicate its success in China. Dianrong’s model is unsurprisingly the same as Lending Club’s. Dianrong announced a new round of funding this year. Jimubox, launched in August 2013, is the new kid on the block. The company raised two rounds of financing in 2014, and has drawn much attention for receiving new funding from Xiaomi, the rising star in China’s smart device market, and Shunwei (the venture capital fund co-founded by Xiaomi CEO Lei Jun). Other major players in the market including CreditEase, Renrendai, PPdai, Yooli, Hongling (my089.com). Yooli, Renrendai and PPdai, announced new rounds of funding in 2014. Almost all major Chinese tech companies, including Baidu, Tencent, Sina and NetEase, have begun selling investment funds following the success of Yuebao. Though most have been selling traditional financial products, financial institutions have been happy to cooperate with them to access their huge user bases. 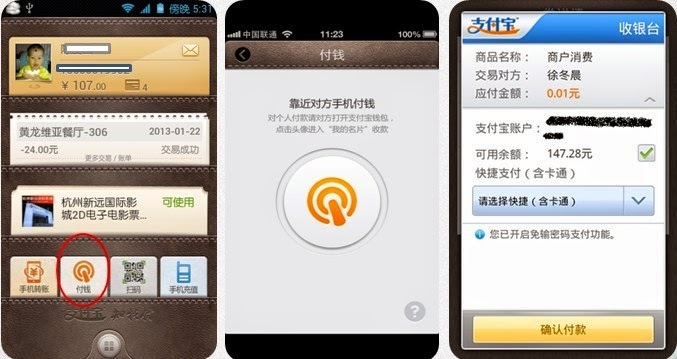 New financial products like Yuebao also emerged. With increasing numbers of financial products available online, both startups and big tech companies are building marketplaces and search services. The big tech companies are also acting as financial product aggregators. In April, Alibaba’s finance arm Ant Financial launched Zhao Cai Bao, a marketplace for financial institutions to list financial products to consumers and SMEs. A number of startups are aggregating financial products, both traditional and not, and provide search and return comparison services. These include Rong360, 91Jingrongchaoshi, Jinfuzi. All three pocketed funding this year. Haodai, which believes middlemen will remain part of the business model, is an online platform for offline small loan companies and other credit institutions. Founded by former Tencent exec Hao Mingshun, the service is also available on WeChat. Ant Financial has been far ahead of most Chinese tech companies and even the traditional financial institutions. Many believe it will be even bigger than Alibaba Group, which was the biggest ever Chinese company to go public. Before 2014 Ant Financial was operating Alipay, the online payment solution and mobile service provider, and had been making small loans to retailers on Alibaba’s marketplace. Last year year it added financial product marketplace Zhao Cai Bao, consumer credit product Huabei, and is building a credit scoring system Sesame and an internet-based private bank. Tencent and Ant Financial so far are the only two internet companies to obtain a license to set up private banks. Tencent’s WeBank, based in Shenzhen like its parent company, has recently launched a website. It is expected that both will begin to offer services this year. Tencent and Alibaba are the most active tech companies in the internet-based financial market. The two companies and Ping An Insurance have jointly established the insurance company Zhong An for products tailored to the digital economy. Zhong An now provides insurance policies such as products for online shopping, logistics, mobile retail and so on. Information provided in this page is informative and useful.These days digital technology is developing rapidly.It is implementing in all sectors.In today's life this Financial technology taking one step forward and providing good results.Here some top 5 "FinTech" startups to watch in 2015.
thanks this link is very interesting.